An irony of the 808 is that it began as an everyman’s machine – a disliked relic that no-name musicians could acquire for prices approaching free. It helped that Keyboard infamously likened its sound to “marching anteaters.” (Note to self: idea for DJ name.) Yet now, the quirky Roland original commands high prices that have transformed it into an (often-unreliable) luxury item. 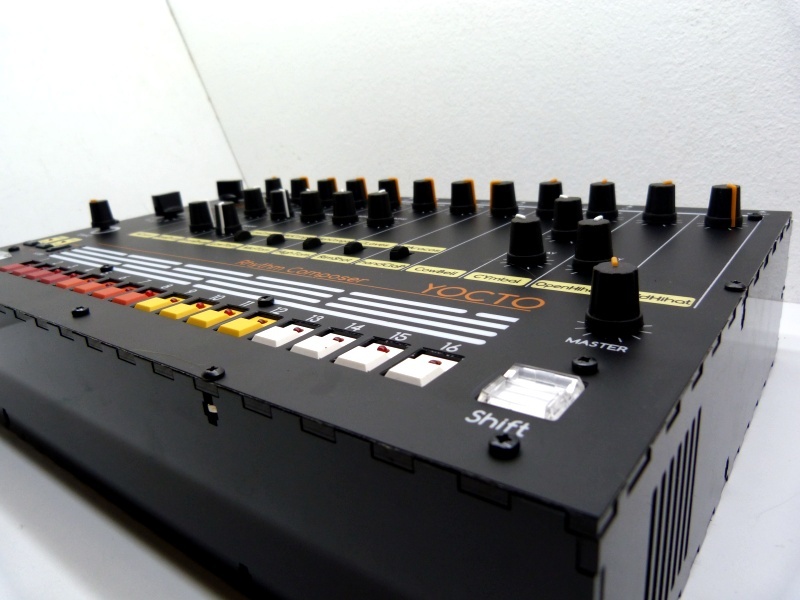 Correction: It seems the story about Keyboard‘s Dominic Milano referencing drum machines that sounded like “marching anteaters” was true – but not that it was in fact a Roland TR-808 that Dominic meant. See Kurt Werner, Ethnomusicology Review. The fall and rise of the 808 isn’t just arbitrary, however. There is something distinctive about the sound design and usability of the original beast, the result of a twist of fate and history that compelled Roland engineers to bend their will into an instrument that was neither entirely synthetic nor entirely natural. People scoffed at violins and pianos when they were new, too, after all; while the TR-808 isn’t exactly on that level, it is a unique entity, one with a personality all its own. But as KORG reissues a part-by-part remake of the MS-20 and fits 1970s filters into … well, nearly everything imaginable, Japanese rival Roland is thus far silent. Names make comebacks, yes. Actual circuitry, not so much. The Yocto isn’t the first hardware to attempt to clone the original 808. It just happens to do it in a way that is promising – in function, in price, and in claimed accuracy. Cost: 379€. Just be prepared for some DIY. Each of the eleven drum sounds from the original 808 are here copied component-by-component, say the makers, with only the BA662 VCA Clap replaced by a BA6110. The front panel, too, looks strikingly similar. And pattern-making lives up to the predecessor, while adding additional functionality. With the added MIDI sequencer, you can store up to 256 patterns (16 banks times 16 patterns each). And for a generation accustomed to more-complete sequencing, you can now mute each sound, chain, copy, paste, and clear. If they’ve done this right, in other words, this could be a perfect techno machine. And there’s reason to root for them. As a set of samples, the 808 … well, is kind of crap. The real appeal isn’t the raw sound samples of the Roland so much as hands-on control of sounds and sequences. Just be prepared for a DIY project that isn’t for the feint of heart. This isn’t even close to a good build for someone with limited experience; you’ll want some good tools and, as the makers suggest, time for testing and patience. Then again, for those of you with the experience, that may be part of the fun. It’s also nice to see that the board here can be opened in the free version of Eagle, the CAD software. In addition to the Yocto, if your tastes run differently, you can also try your hand on a 606-style sequencer or an Ableton-esque MIDI sequencer in their projects section. If anyone knows more about these folks, we’d love to hear.